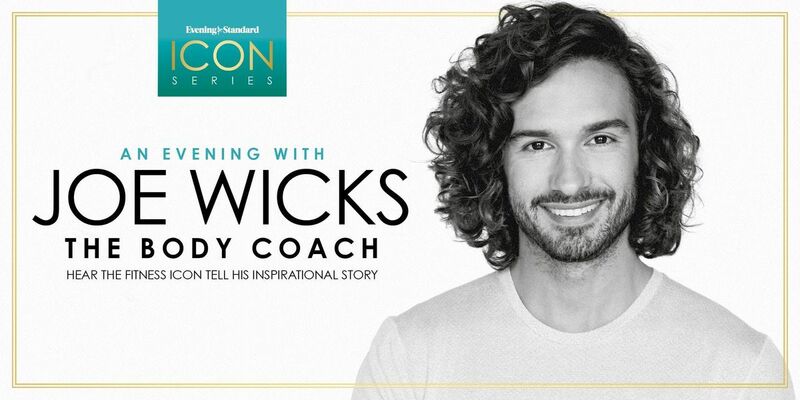 Joe Wicks, body coach and author, is one of the UK's leading fitness stars. Joe has helped transform millions of people’s lives through his fitness and healthy eating programs. Author of Veggie 90 Day, Lean in 15: The Shift Plan, Lean in 15: The Shape Plan, Lean in 15: The Sustain Plan, Cooking for Family and Friends, The Fat-Loss Plan and Joe's 30-Minute Meals. Joe is all about eating healthy, exercising regularly, and most importantly – having a balance in life. Hear how the fitness icon got to where he is today and what inspired him on his journey. Guests will have the opportunity to ask questions and a chance to meet Joe himself! Tickets are £30.50 pp for the interview & Q&A. Or £40 pp to include his new book Veggie Lean in 15. Terms apply. Tickets are limited. For readers that have opted to purchase a copy of Veggie Lean in 15, books will be distrubuted at the event.